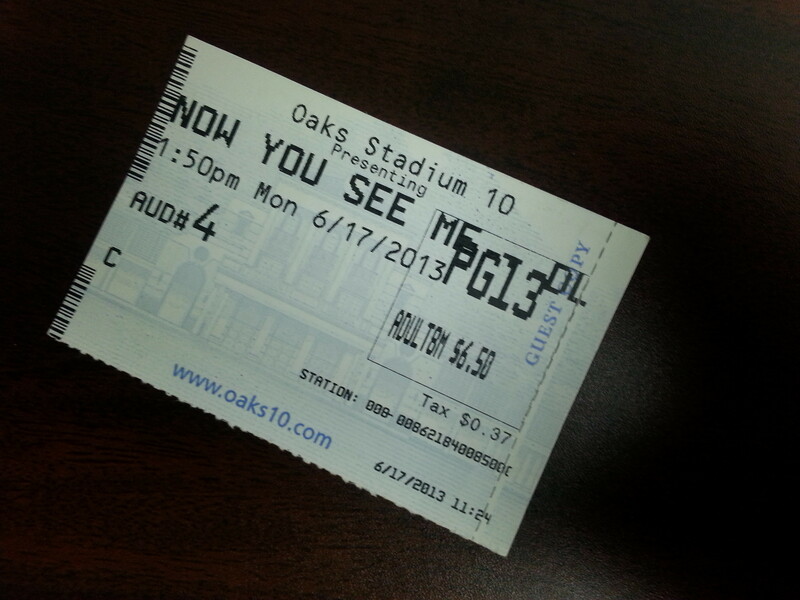 Review of Now you See Me Now You See Me has been the surprise movie of the year for me. I went into the movie not knowing what to expect and had my lack of expectation exceeded a thousand fold. The movie opens and gives the audience a profile on each character in the movie, all of which are street magicians - some of which are more "legitimate" than others. Woody Harrelson, Isla Fisher, Jesse Eisenberg and Dave Franco star as our four protagonists who have two things in common. They are all excellent magicians and they all have caught the eye of a mysterious figure who invites all of them to embark on an adventure. Fast forward a year later and we now see our four magicians have joined forces to become the mega magician team called "The Four Horsemen". Not only have they gained popularity, but they have gained a major sponsor in the form of Michael Cain. As Cain learns, he should have heeded the warning that the audience was given at the beginning of the film, "The closer you look, the less you see". 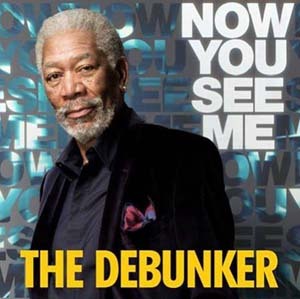 All is not as it seems, and to re-mediate the situation - enter the magician debunker - Morgan Freeman. "The first rule of magic is always be the smartest guy in the room." Freeman is enlisted by Cain to find the truth of the matter and burn the Four Horsemen for their slight against him. Oh yeah - the slight? They steal $140,000,000.00 from him in front of a live studio audience. Have I mentioned that the highlight of their act is robbing banks? Well it is, robbing banks they never even go to, in some cases half way around the world with the best alibi ever - the live audiences. Now that they are not only excellent magicians but notorious bank robbers to boot, they have caught the attention of international law enforcement in the form of Mark Ruffalo and Melanie Laurent. This unlikely partnership rounds off a great ensemble cast that just fires on all cylinders. The movie is smart and fast paced and the writing is as witty as it is razor sharp. Jesse Eisenberg puts in a spectacular performance and stands out as the team leader (whether this was intended in the writing us up for debate), Woody Harrelson seems right at home as the wise cracking veteran of the bunch, Mark Ruffalo is intense in his desire to bring this team down, and Michael Cain and Morgan Freeman provide an excellent insight into the flip side of the world of magic. There are other layers to the story but I don't want to give everything away! The one downside to this film is while the characters were well played and well acted there is no real investment as there never seems to be any real risk. We always know they are one step ahead and that they undoubtedly are going to succeed in their goals. Even when it seems like they are trapped, there is not enough tension to make it seem as if they may actually fail. That being said I felt this was a strong and incredibly fun movie. if you have not seen the trailer, you can check it out below!